Claremont Inn in Bognor Regis has aircon. The pub gives a warm welcome to dogs and their owners, it is a family friendly pub. Claremont Inn has a smoking area. The pub has a dart board, it has a pool table. 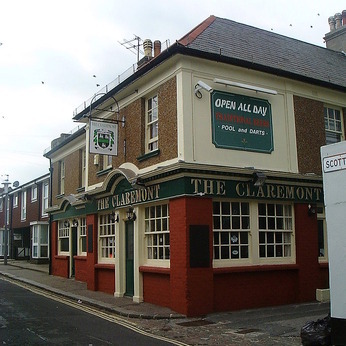 Claremont Inn holds quiz nights. The pub has a big screen, it shows football on TV. Claremont Inn has Sky Sports. The pub has terrestrial TV.